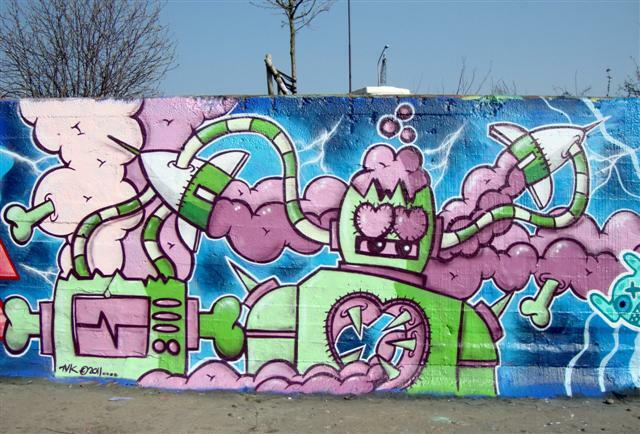 Last tuesday Pinwin & Ox-Alien were invited to test the new Ironlak spraycans. 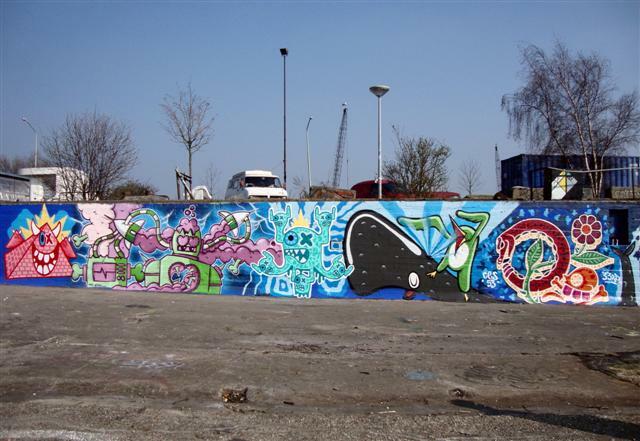 Together with Babe & Ces53 they painted the wall at the NDSM docklands in Amsterdam. Here some pictures. 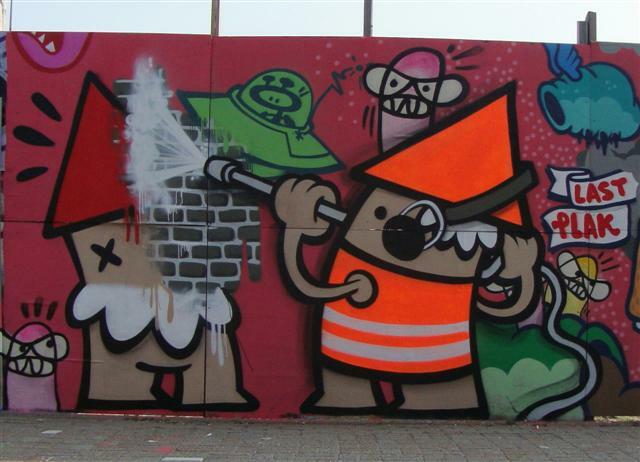 They probably create the most street art in Rotterdam: the guys from Lastplak. The collective without rules or preconceived plan exists ten years. 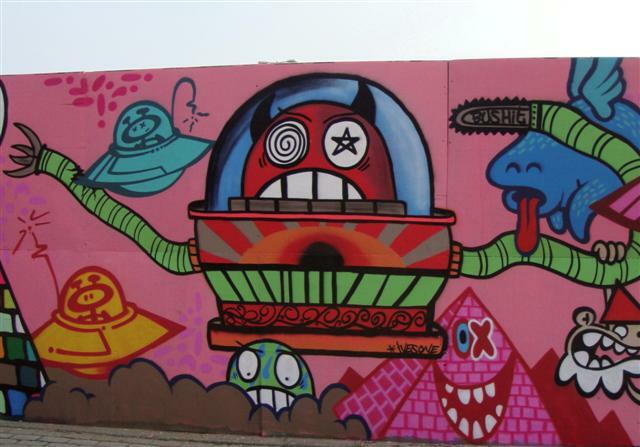 Misunderstood by the art world, rejected by (some) graffiti artists, but appreciated by the people. 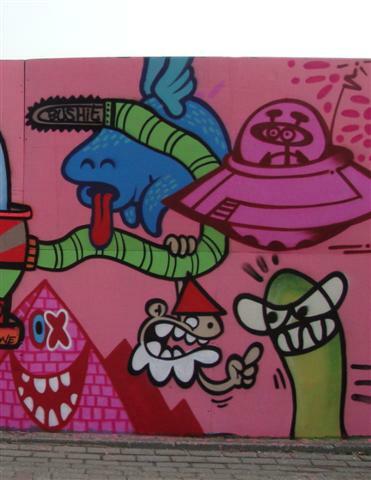 ‘Lastplak, bis 2012′ is written on one of the most recent designed Lastplak-stickers. A joke, because according to the stories, the world perishes in 2012. 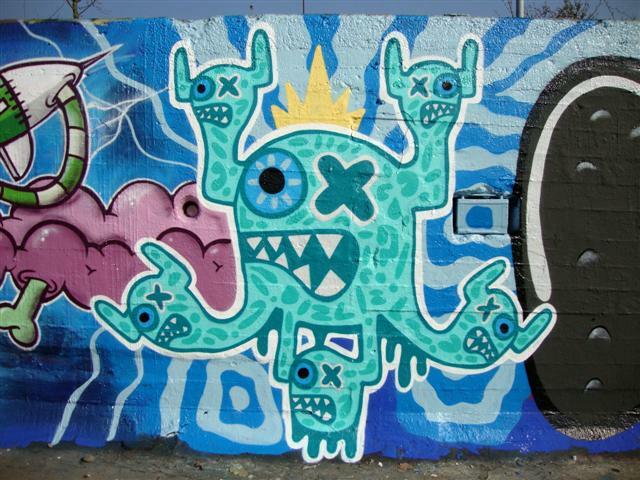 For the design Lastplak used the label of Austria’s cheapest beer, Ottakringer. Lately they have a new habit of adopting the cheapest local beer as their personal favorite when they are abroad. Ottakringer is one of them. The sticker combines everything Lastplak is: a collective with humor that wants to brighten up their city with street art. All without a preconceived plan and that is exactly what makes this Rotterdam group unique. 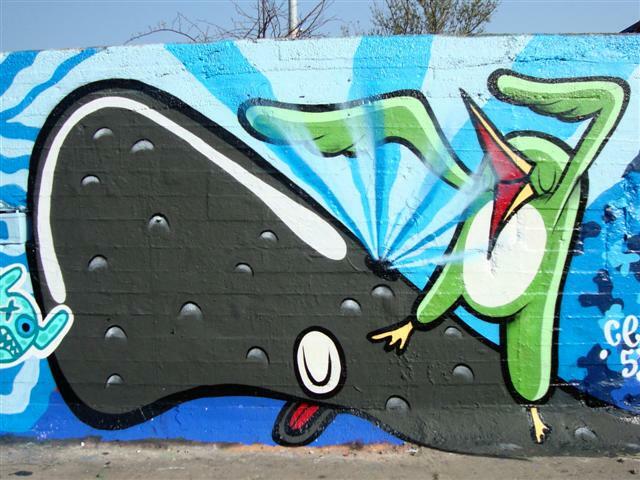 An interview with ‘Boortorrie’, the first Lastplak member. How did the collective arise? “During stickering in town, I met others. Literally. One day I thought that it was safe to paste a sticker. At the moment I wanted to paste my sticker, a boy turned around to do exactly the same. 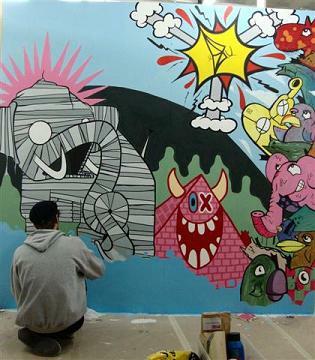 The projects you’ve done with Lastplak are quite big. How do you manage that? “Because we did a lot, people started saying that we’re a commercial collective: well, we’re not! If we have a legal job for a wall one day, we’ll come back the next and take the wall next to it. 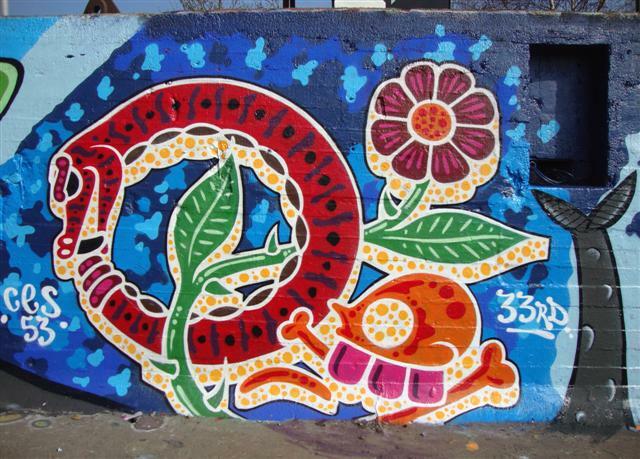 No one will bother and we just want to paint. 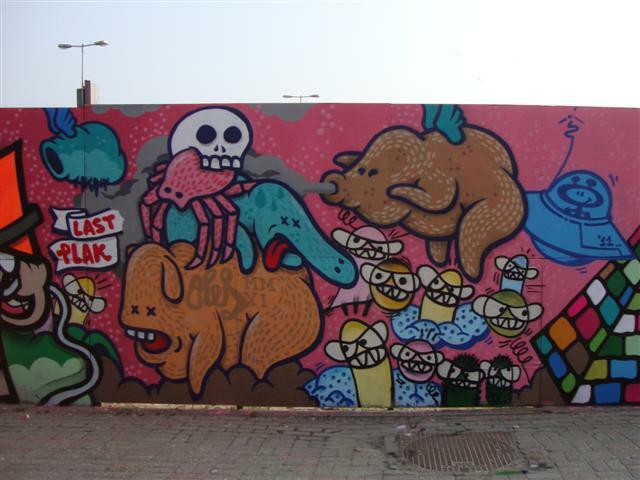 How is the relation between Lastplak and other street and graffiti artists in Rotterdam? 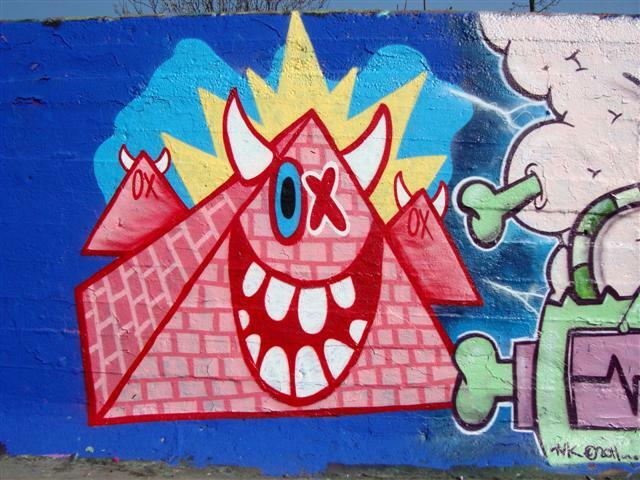 Lastplak exists ten years. 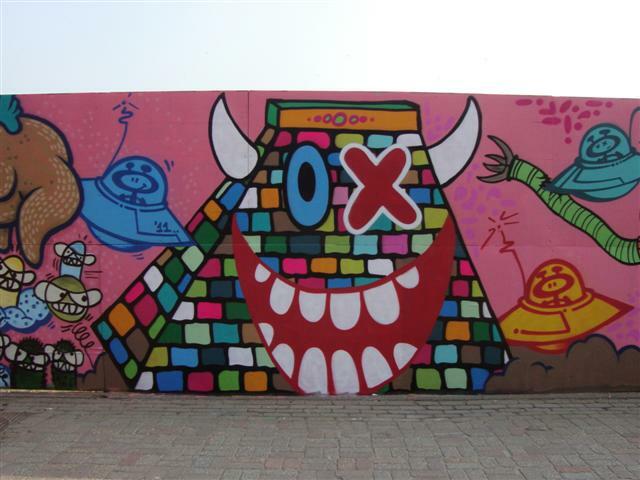 How will you guys continue Lastplak in the next decade? 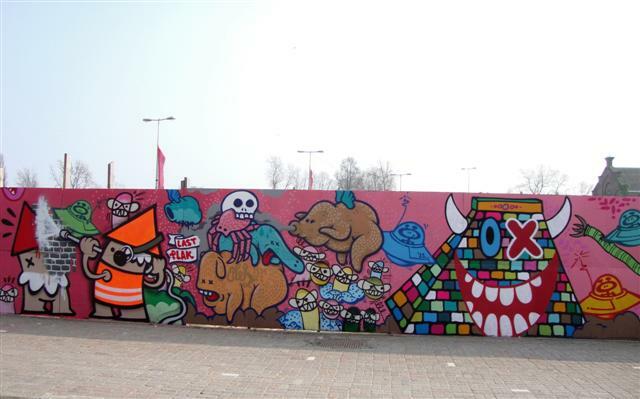 Last wednesday Oles & Ox-Alien went to our capital to paint a fence at the Polderweg together with: Ives-One, Ewos, Kbtr & Mickey. Here some pictures. 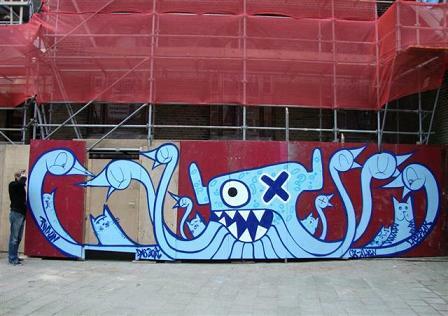 Today Pinwin, Ox-Alien and Das Boat painted a blue Oxtopus in the Robert Fruinstraat here in Rotterdam.